The safety of guests is paramount in any hotel. Many guests are injured in a slip or fall in a hotel bathroom each year, exposing the hotel to liability and bad publicity that could have been easily avoided. Why are Anti Slip Bath Safety Stickers so good for hotels? They are a safe and stylish alternative to bath mats, which are unsightly, can be left out of the bath by guests and are difficult to keep clean. Anti Slip Stickers are stuck down permanently on the bath, so your baths or showers will be safer for all of your guests. They are quick and easy to fit, so there is no down time on the room. 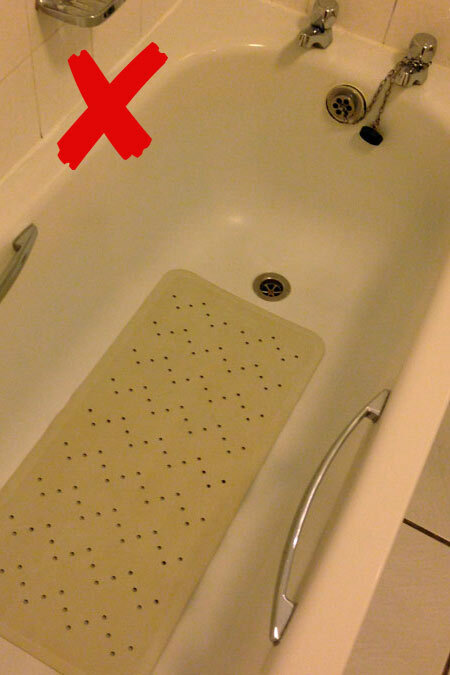 Anti Slip Bath Stickers are the preferred choice by housekeeping as they require no extra cleaning than the bath. They are much quicker to wipe clean than traditional rubber bath mats, which can attract grime and mould. Bathmats can sometimes be the cause of a trip or a fall, but often the difficulty is that the guests do not think to use the bath mat provided. 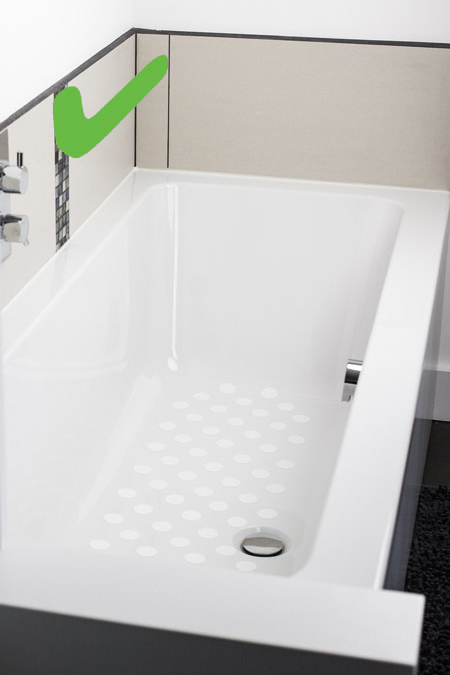 Investing in Anti slip stickers is a cost effective solution to the problem of slippery baths and showers. It will avoid the need to replace bath mats, which deteriorate with age and are an on going battle for housekeeping to keep clean. You can rest assured that you’ve done all you can to prevent any accidents and can demonstrate to Health & Safety Officers that you have paid ‘due care and attention’ to this risk assessment. What are Anti Slip Bath Stickers? Anti Slip Bath Safety Stickers are textured stickers that are easy to apply to the bottom of the bath or shower in a matter of minutes. The stickers are circular and white, approximately 3.5cm (1.5″) diameter. Each pack comes with 28 stickers and a fitting template, which is enough to cover a standing area of 42cm x 30cm (16.5″ x 12″). Manufactured in the UK you can be confident that the product will last well. We have been supplying Anti Slip Bath Stickers for hotels, B&Bs, interior designers, developers, bathroom fitters, housing associations and care establishments since 2004. We have supplied everyone from larger chains, such as Hilton Hotels and Holiday Inn, to privately owned hotels and smaller guest houses and B&Bs. We offer a substantial trade discount for hotels of all sizes and for any business or establishment that requires a bulk purchase of anti slip bath stickers. To take advantage of this discount, please contact us for a quote. Please note that the reduced rates for purchases of over 10 packs are not available directly on the website. Buy now or for orders of more than 10 packs email [email protected] to get our trade discount. Please contact us to let us know about your requirements by emailing [email protected] . We carry a large stock so can fulfill most large orders at short notice if required. If you require a bespoke solution, please get in touch and we will try to help. For large orders we are able to source bespoke colours and sizes of anti slip bath stickers. We can offer a fitting service for large hotel orders if required (please note that an extra charge would apply for this) although they are easy for any member of staff to fit. If you would like to stock Anti Slip Bath Stickers outside of the UK please get in touch. Non Slip Bath, Studio A, Birdwood House, Totnes, Devon, TQ9 5SQ, UK.